Homemade mustard has long been on my list of kitchen experiments. 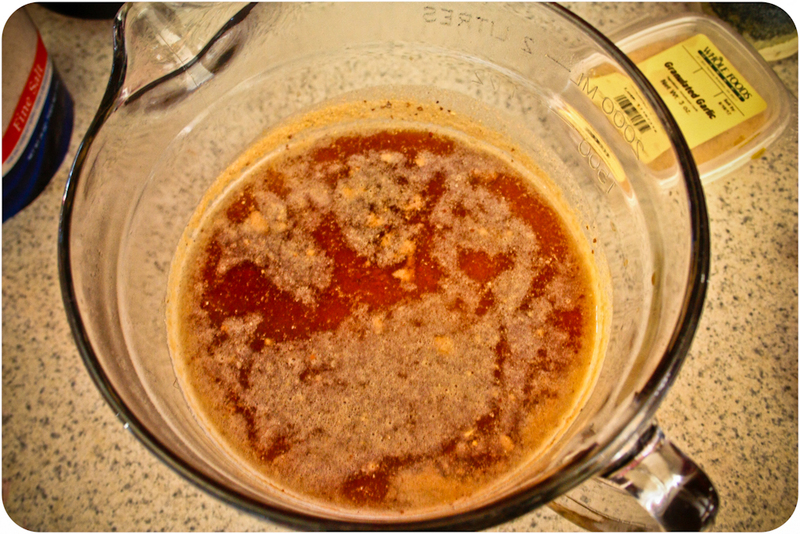 We go through a considerable amount of mustard at our house since both Paul and one of my boys love it. 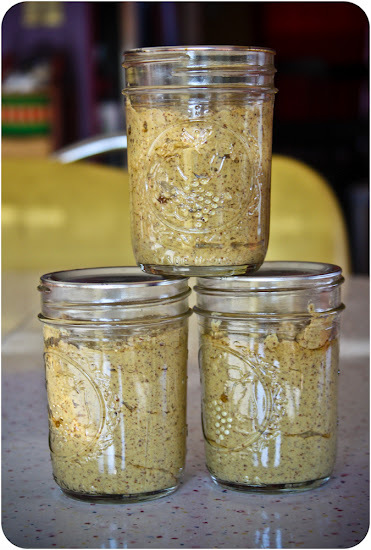 Making homemade mustard used to seem cost prohibitive as those tiny jars of mustard seed or powder can go for upwards to $5 for less than 1/4 cup of product. Once I found the yellow and brown mustard seeds and the mustard powder in the bulk spice section at Whole Foods, the cost became much more reasonable. After seeing a recipe for Spicy Mustard pop up on Pinterest, I decided to dive in. The ingredients were different from a few of the other recipes I'd seen. And any recipe that calls for stout beer has my attention. 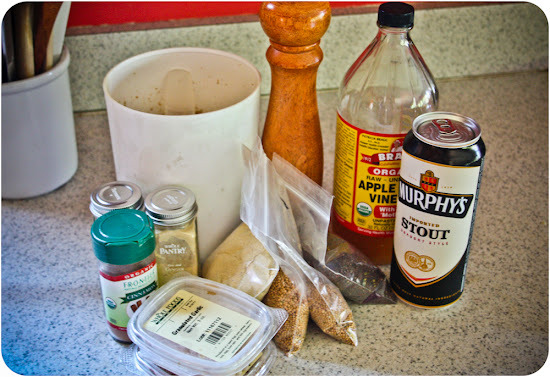 The recipe calls for mixing the ingredients together and letting them stand for 24-48 hours before blending them together. The addition of raw apple cider vinegar makes this a living, fermented food, and I'm always happy to add more of those to our diet! While I was on a mustard-making kick, I also made one of the recipes in Food in Jars. 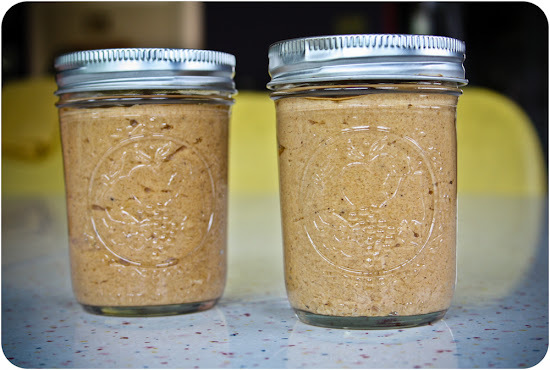 This Spicy Honey Mustard recipe is compared in the book to the mustard that you get in Chinese restaurants, low on the sweetness, but with a nice heat. I do plan to let the jars mellow for a few weeks before opening. Are there any experiments going on in your kitchen right now? Can we add that to my tab?